When I was in my teens, I liked music. I liked it a lot. 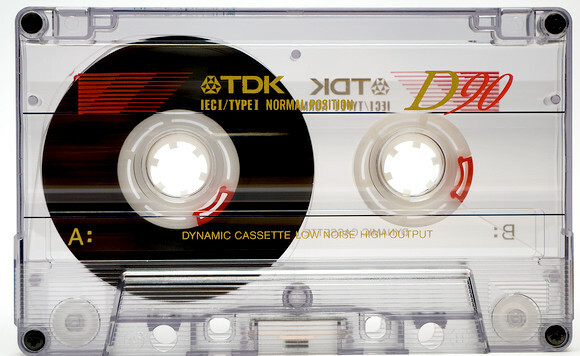 I created dozens of mix tapes and knew exactly what songs would fit on one side of a TDK 90 tape without leaving an annoying two minute gap which needed to be fast-forwarded. My parents gave me a stack hi-fi for my 14th birthday and it was heaven. It had a turntable, lots of slidey buttons to adjust bass and treble and a double tape deck. Anyone who was into their music in the 80s knows the value of a double tape deck — you could record tape to tape. One of my things was keeping ongoing mix tapes. I listened to a lot of radio so I kept a tape in deck A and if something came on which caught my attention, I’d hit play and record. It wasn’t long before I realised I could do with with videos too. My family quickly became used to me monopolising the VHS during Top of the Pops, The Chart Show, The Roxy (ITV’s short-lived answer to TOTP) and a Sunday morning programme which I can”t remember the name of. The latter was quite indie and I still remember watching the video for Voice of the Beehive’s ‘I Walk the Earth’ and my dad asking me in an incredulous tone if I actually found the programme interesting. Ah, parents. The town I lived in had one actual record shop, but Woolworths and the local newsagent also sold records and I knew their stock intimately. Ex-chart singles retailed for 50p so I’d comb through the discount box every week looking for something I liked which hadn’t made the top 40 display. The record shop owner (hello Richard from Disc Discounts!) used to save new releases by bands I liked for me and because I was 14 and contrary, I didn’t like A-Ha. Oh no. If it was obscure (Das Psycho Rangers), vaguely offensive (Danielle Dax), dark (Jesus and Mary Chain), loud (Def Leppard) or just plain old rubbish (Sisters of Mercy), I liked it. My record collection was scrupulously filed in chronological order and documented on several sheets of A4. Smash Hits, RM, NME, Melody Maker and occasionally Kerrang were my bibles. I’d pore endlessly over lyrics, interviews and trivia. I made lists of bands I wanted to listen to. As I did my GCSE coursework, I’d be listening to The Cult’s Electric through headphones, an album I bought for £1 from a a classmate called Charlotte who’d gone goth and had Sindy dolls hanging from nooses in her bedroom. Of course, this was in the days before the internet and one of the things vinyl junkies most hated to hear was the word ‘deleted’. This meant that the record you’d been trying to get hold of for months had ceased to be. The record company had removed it from existence. Forget Googling to find some obscure record shop with a thriving online outlet to get that limited edition 7″ fold-out with postcards. Forget checking out one of the many websites which post lyrics to songs. If it wasn’t in Smash Hits and you couldn’t go on with life without knowing the words to your favourite song, it meant hours by the stereo with headphones, a pen and paper and a keen finger on the pause button while you tried to work out if the singer just said ‘cannibal nuts’ or something else entirely. My love of music comes from my parents. I grew up with Eddie Cochran, Elvis, Jerry Lee Lewis and Johnny Cash. They’d play their records and despite the fact I flopped over the the table and groaned about old people’s music, I listened. I expect they did the same thing when their parents complained about rock n’ roll. My dad told me recently that the dance hall in Liverpool he used to go to as a young lad actually banned rock n’ roll and if anyone danced in that manner they would be slung out. In fact I listened to their music without realising I was — when I was 23, I went to see the Buddy Holly musical with some work colleagues and much to my surprise I was the only person under 50 who knew all the lyrics to all the songs. The reason I like the Stones’ ‘The Last Time’ is because I remember my dad listening to it as he brewed his own beer in the kitchen. I listen to Eddie Cochran’s ‘Somethin’ Else’ to this day because my mum used to sing along to it and I love the fact Eddie got a ’41 Ford not a ’59 to impress the girl. I sang ‘Young Girl’ by Gary Puckett & The Union Gap in my head for weeks when I was 16 and being courted for the first time. So, mix tapes. The precursor of iTunes playlists. Somehow the labour involved in producing them renders them more meaningful. I cannot count the hours I sat before the stack hifi, pressing pause, play and record. The best handwriting on the card inlay. The careful positioning of tracks. After all, no-one wants to hear the frantic thrashing of Faith No More’s ‘Out of Nowhere’ immediately after the slow dignity of Distant Cousins’ ‘You Used To’. But it’s great being able to Google a single line from a song and find out what it is without having to try and sing it to nonplussed record shop staff.